“How many of you think that maybe you’ve said “Yes” to too many things when you should have said “NO”? Yeah, me, too. Except…. as I’ve grown older… or should I say as I’ve “matured” – I’ve found that there are many more times I wish I had said “Yes”! I think that if you look back in time with me, you just might agree that more often than not, saying “Yes” leads to a lot more fun! And I’m not talking about having been divorced twice…. 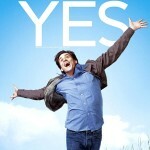 Because even those relationships had a lot of “Yes” that felt pretty good! I got married because I said “Yes” to love! And even though things didn’t work out SO well, they did work for quite a while – 16 years each time. But more recently, as I found myself with a lot more time on my hands, I started to get out in public more and meeting more people than I used to meet. A couple of summers ago, I started going to Alive at Five”. A Toastmaster invited me to volunteer to serve beer in the beer tent. I did try again, and managed to only get about ¾ of an inch of foam on the next one. I had a lot of fun chatting with people and taking the wood tokens for beers. There was great music playing and I started dancing around a little. Did I mention that we were allowed to drink for free? I said “Yeah, right. Sign me up.” She did! That’s how I found myself dancing in front of more than 600 people on the stage at the Civic Center! And, Yes, I had a great time! I made new friends ! AND… I got a trophy! I said “Yes.” I didn’t say I could sing well….. I went to tryouts in the Green Room at the back of the stage area. I was handed a script to read lines from. I didn’t do too badly. Then I was told it was time to sing. Well, I hadn’t exactly prepared for that. And this time we went into the music room where there were a LOT of other people. I thought about running, but I didn’t. But I got a part playing Commander Harbison! And as rehearsals got underway, I met a lot of awesome people and made new friends – I drank with some of them last night – and next week are dress rehearsals and the show starts April 11th! Did you ever notice how one thing leads to another? Some people say that there’s a woman to blame…. But I know…. 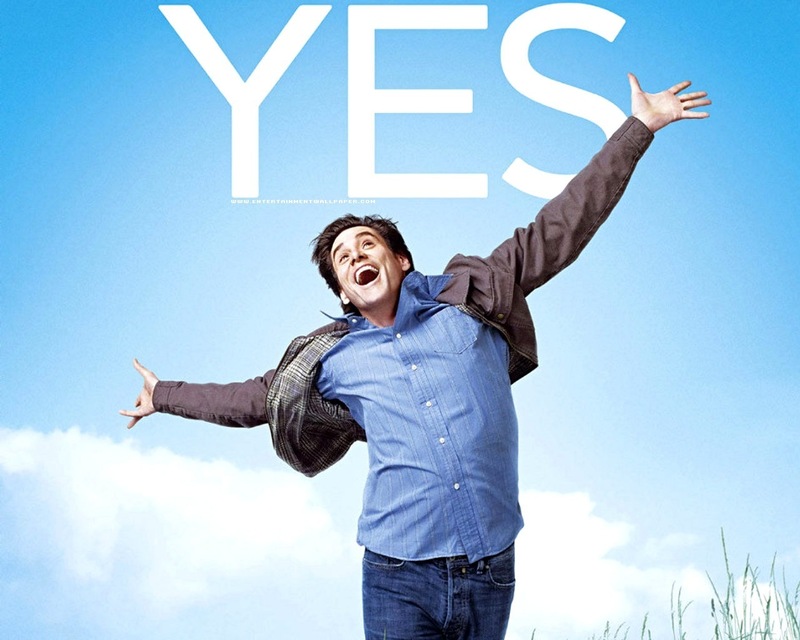 So like Jim Carrey in the movie YES Man – just say YES! You never know where you’ll end up, but you’ll most likely make new friends and have a YES of a time!